An outstanding literary innovator, science fiction writer Herbert Wells wrote at the end of the 1890s one of his best works: a novel which was named as The Invisible Man. This is the story of a brilliant scientist who discovered invisibility cure. Subsequently, this brought him many problems, and readers have been inspired for more than a hundred years by this highly innovative and intelligent history, which remains relevant for our present times. Many people know this character thanks to a number of cinema adaptations, and now you can discover mysterious story with the help of the new Invisible Man Bitcoin slot created by NetEnt. Slot machine’s design copies and develops style of classic illustrations and an old horror film: this game is a real discovery for everyone who likes classical horror. The invisible man online slot has a style that stands out against the background of other machines, and it’s attracts attention and interest by remarkable visuals and animation. Each element looks distinctly and does not cause slowdowns or difficulties during the game process. Machine’s interface is typical for NetEnt developments in general, but still has some differences to make the combination of buttons and design more convenient and understandable to all. Be calm: all the standard elements of the NetEnt game are available, and also the complete beginner will understand the game mechanic for a couple of minutes easily. Before the spin, you need to select the stake and coin value. Here there is a button for the maximum bid in one click. If necessary, look for an information sign next to it, which provides exhaustive information about the features (including paytable). The settings button contains tools for changing the speed of the reels, the volume of music and sound elements of game process, etc. 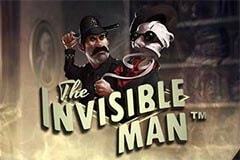 The Invisible Man is an online bitcoin slot with five reels. After spinning the reels and their stop, three symbols are in game on each reel, so there’s 5×3 field. The game contains usual and special game elements, two types of additional bonuses re-spins and totally free spins rounds. There are 20 active game lines only. You can put some coins (20 max) to each position, and each line in this case must have the same number of coins. There are two ways to win, by basic combos in lines and some additional methods. Standard combos are continuous chains of identical pictures in separate fields. The line starts with the first reel on the left and backwards. If there are several sequences, the player receives a win only for the most valuable combination. The payout ratio for the machine varies from x2 to x500. It is calculated by multiplying the bet by the winning line. The theoretical return from the machine is about 96.4%, which is a very high indicator that also attracts lots of gamblers. Game symbols incudes the personalities of “The Invisible Man” novel and also playing cards from ten to ace. There’s also two wild cards: Police Wild (a policeman) and Griffin Wild (the protagonist of the works, has already become invisible). How the wildcards work: if this card came on the screen, it plays for 5 moves, moving from left to right, or backwards, guaranteed to occupy one of the positions at the field. Wildcard replaces any other symbol and is substituted for winning combos in the theoretical presence of these. So you can win several times in a row with one bonus card. NetEnt developers pleased us with an excellent model with great graphics and incredibly interesting gameplay features once again. We also can consider highly user-friendly interface, understandable in any language panel, useful settings, and so on. Theoretical money return level is high here, so you can play without the risk of big losses. Chose best bitcoin casino for The Invisible Man slot on our website!